These Tropical Breakfast Skewers are a perfect way to start the day with a blast of sunshine. 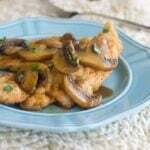 I’ve partnered with Produce for Kids to bring you this recipe. 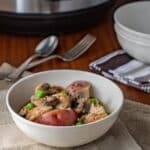 I find it challenging to come up with healthy and filling breakfasts that my kids love to eat and that are quick to throw together in the morning. 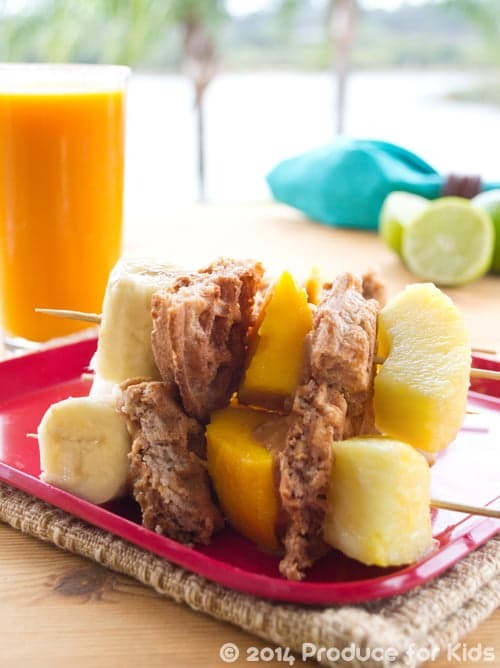 These tropical breakfast skewers are perfect for a quick, tasty and sunny start to the day. They have health whole grains, protein and fruit. And best of all, my kids love them. To make things quicker in the morning, cut up the fruit the night before and mix it with the lime juice. You can also make the peanut butter and coconut mixture the night before so it’s ready to spread on the waffles before cutting and threading onto skewers. If you’re in a real hurry, the skewers turn into a portable breakfast to have on the go. Just warn your kids to be careful because the skewers are pointy! 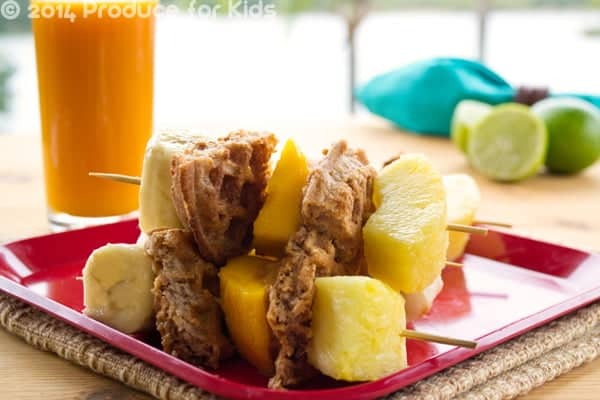 Click here to head over to the Produce for Kids site for the Tropical Breakfast Skewers recipe. Why is my Tropical Breakfast Skewers recipe over at the Produce for Kids site? Last year, Produce for Kids and I worked together to come up with family-friendly healthy recipes. I developed 7 recipes for them and photographed those and a whole bunch more. This year we’re teaming up again with another round of healthy recipes to share with you. I’ll be telling you all about these new recipes in the weeks ahead. Looking for more kid-friendly recipes? Click here to see all the recipes I’ve developed and photographed for Produce for Kids. 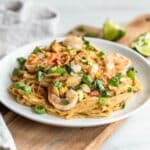 Disclosure: I was paid by Produce for Kids to develop this recipe, to photograph the recipe, to post about it on my blog and to promote it on social media. All opinions are my own. These are adorable Christine! My kids would love these. I’m not exactly sure what it is about food on a stick that I love so much, but I REALLY do! These look awesome! My biggest creative culinary struggle is w breakfast. My kids (& myself) will devour this! Fun idea Christine – great way to get fruit in for breakfast in a fun way! What a gorgeous breakfast! I am so doing these this weekend when we have our monthly sleepover with the cousins. Thanks!